Falvey Memorial Library :: Welcome to Falvey! Deborah Bishov Joins the Academic Integration Team! Welcome to Falvey! 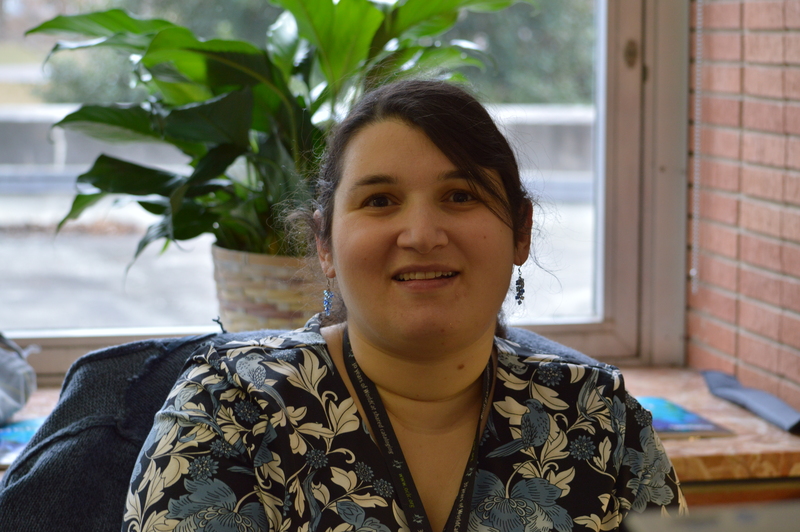 Deborah Bishov Joins the Academic Integration Team! Originally from Chelmsford, Massachusetts, Bishov has lived in Philadelphia for many years. She earned a Master of Science in Library and Information Science from Drexel’s College of Computing and Informatics, as well as a Master of Science in Education from Penn’s Graduate School of Education and a Bachelor of Arts in History from Swarthmore College. Bishov comes to Falvey after completing a two-year fellowship position at the Penn Libraries, working as a subject librarian for Urban Studies. During her time at Penn, Bishov also worked with mapping, GIS (Geographic Information Systems), and social science data, as well as doing information and data literacy instruction. A member of the Association of College and Research Libraries (ACRL), Bishov has attended events hosted by both the national organization and the local Delaware Valley Chapter. In her free time, Bishov enjoys exploring new cities, finding interesting public art, and being out in nature -whether it’s at the beach in Maine or in the Wissahickon. “I enjoy going to the theater for everything from Shakespeare to avant-garde productions to musicals,” Bishov says. An avid animal lover, she says hello to every dog whenever possible and lives with two floppy cats named Claude and Henrietta. “One of my favorite parts of being a librarian is getting to learn from students’ research,” Bishov exclaims. “Please feel free to get in touch with me at any point in your research!” Her office is located in the Learning Commons, Room 225, 610-519-5207. Email: deborah.bishov@villanova.edu.